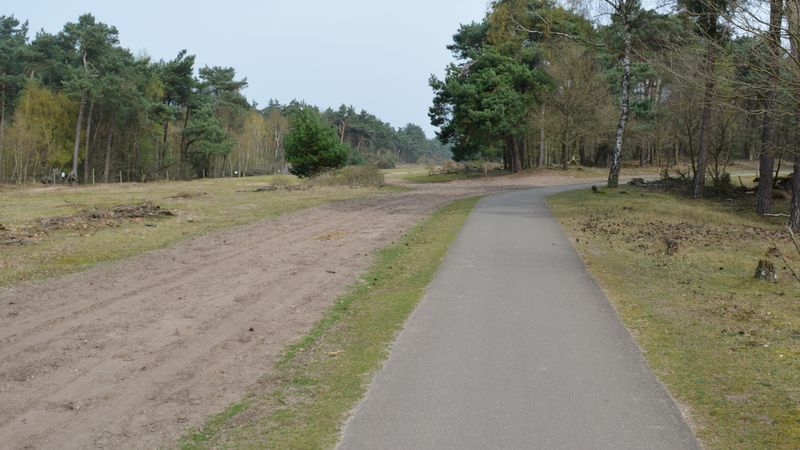 Last week I posted, quite deliberately, about the bad bits of my cycling experience around the Netherlands. 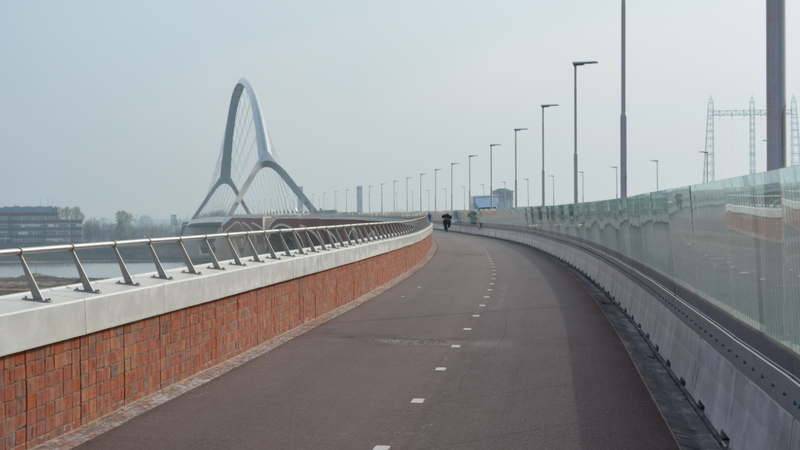 The purpose there was to show that the Dutch still have difficulties to overcome, in particular locations, to make cycling attractive and safe, and also that many parts of the network simply haven’t been dealt with yet. But those bad bits were, of course, the exception. In over 300 miles of cycling, those tens of examples are the only ones that stand out. 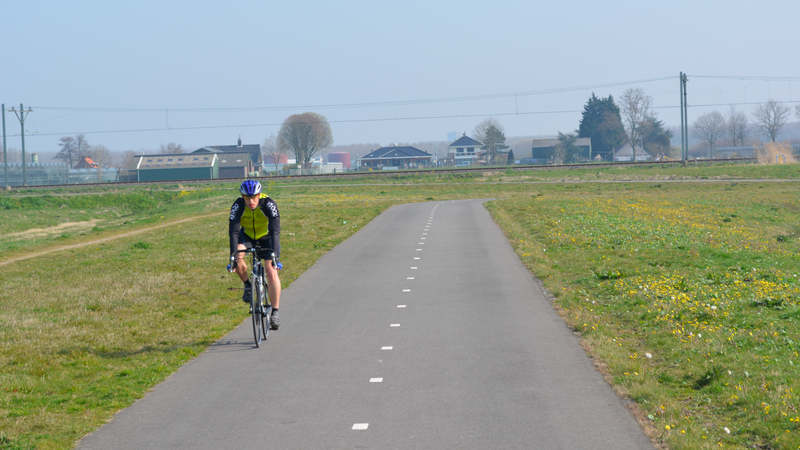 99% of my cycling experience was blissful – utterly stress-free. Everywhere I went, I was wafted along, on deliriously good infrastructure. Along main roads in cities. Complete comfort, ease and safety, everywhere I went. I didn’t seek this stuff out. This is simply what I saw as I cycled around, from city centre to city centre. 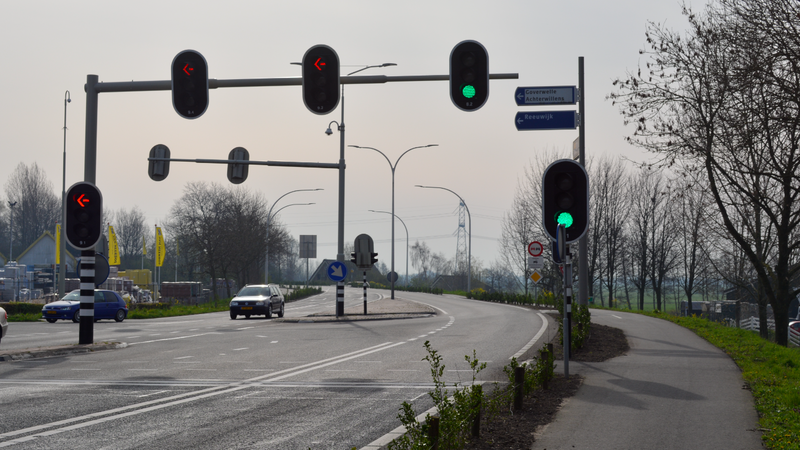 To Dutch people, this is just background – utterly mundane. These photographs give a fair impression of my day-to-day experience. Not one of these examples is ‘shared space’. 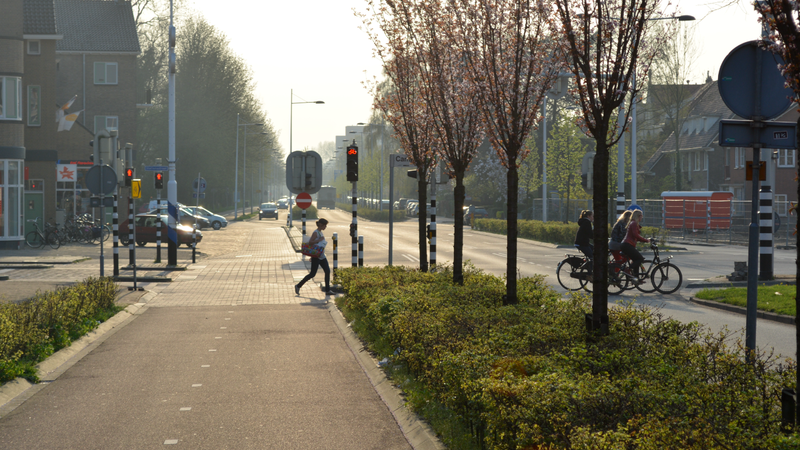 They are all places where motor traffic is largely (or totally) excluded, with walking and cycling utterly dominant as a result. 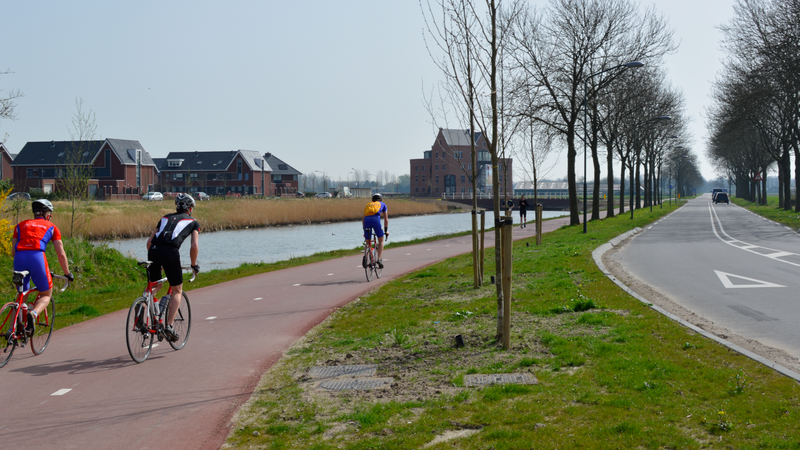 And that means the attractiveness of cycling on routes between towns and cities extends right to their very centres. 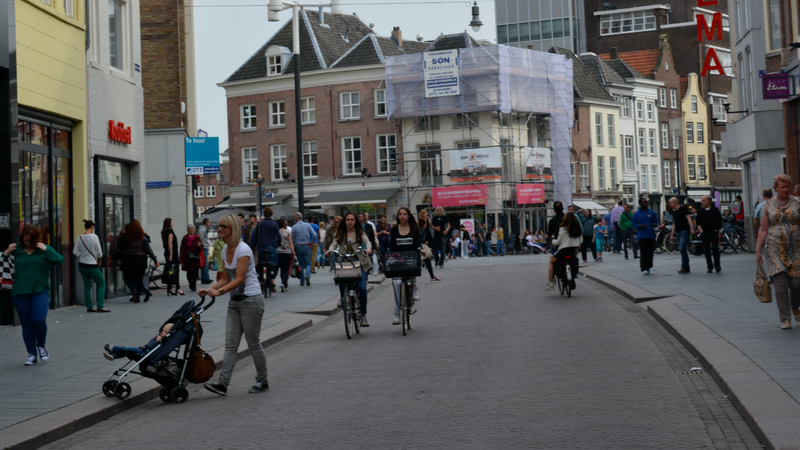 On a single day, travelling from one city centre to another city centre, I estimate that I had to deal with around 10-20 direct interactions with motor vehicles. That’s all. 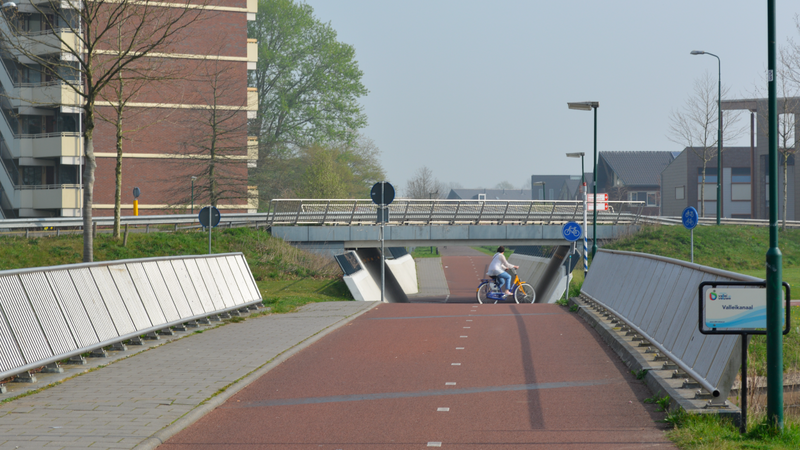 The quality of the Dutch cycling environment rests on this complete modal separation, wherever you cycle. It’s what makes it such a joyous experience. 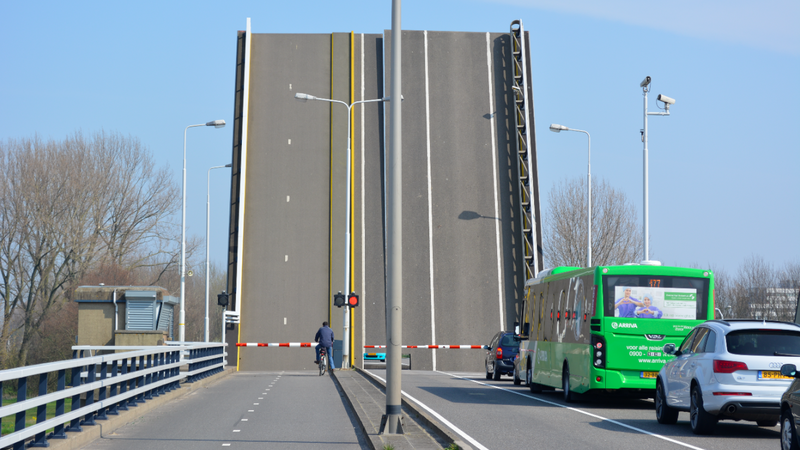 This entry was posted in Subjective safety, Sustainable Safety, The Netherlands. Bookmark the permalink. 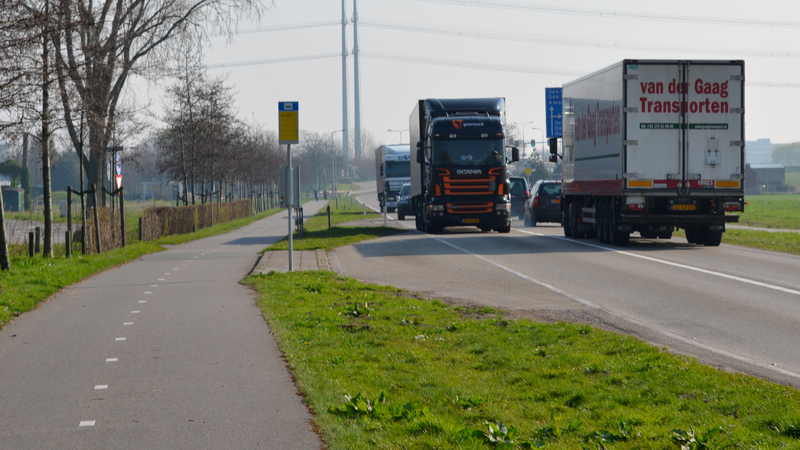 You often here the reply in the UK that cyclists don’t want cycle paths because they are slow and inconvenient. 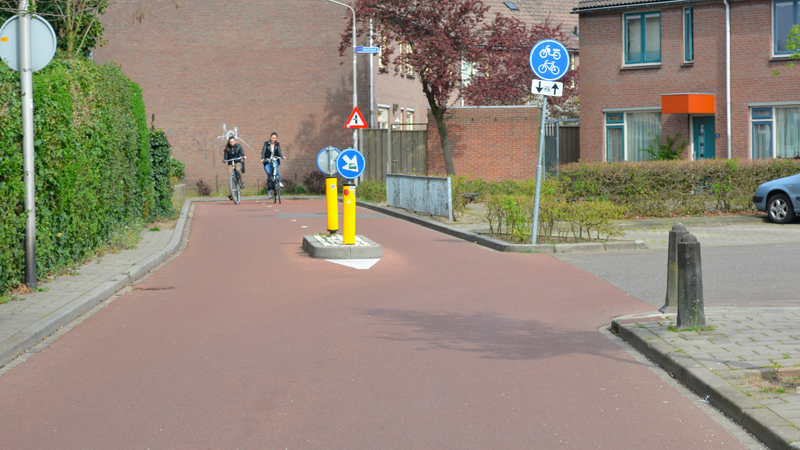 But looking at those pictures there’s no reason why even the fastest of cyclists wouldn’t want to use them. There is a massive difference the Netherlands is flat and the U.K. Is not! 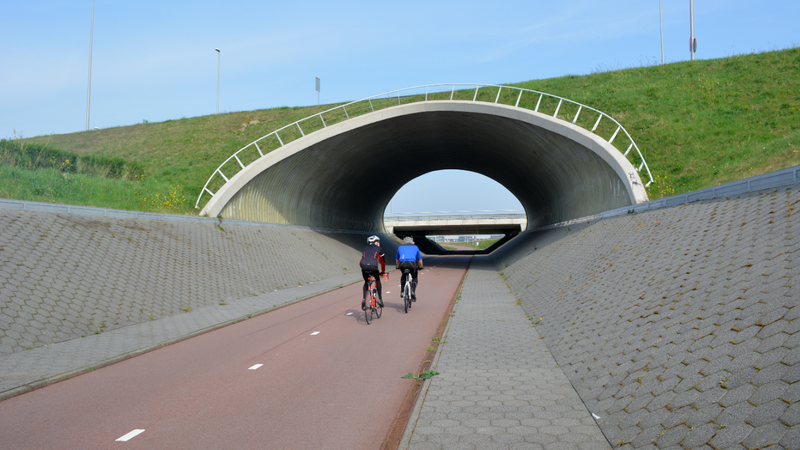 I’m just back from cycling in Holland with 3 people in our group who never cycle and they did great but in the uk they would not make it out a village unless it’s in Lincolnshire or Norfolk. 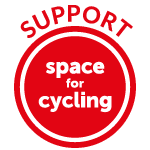 LAs offer plenty of reasons, but the real reasons I think are that it requires effort and the willingness to make space for cycling. It’s easier to promise world class facilities & to provide rubbish. 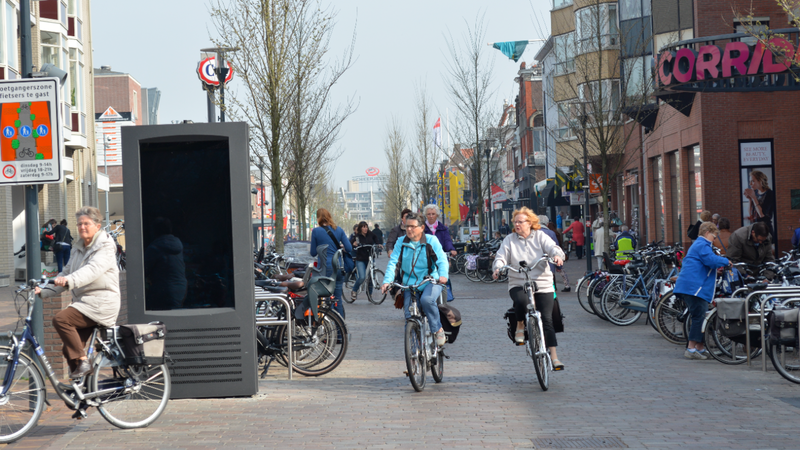 Alternatively they simply have to say ‘we have to take all transport modes into account’ (translation: stuff you). 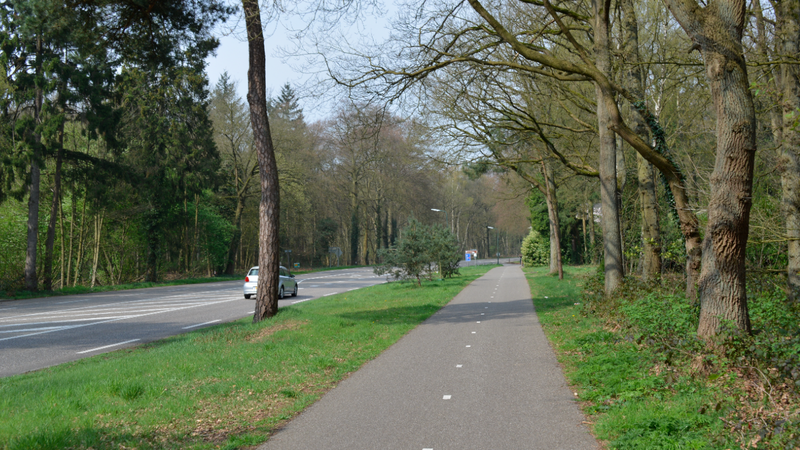 A UK “cycle path” is often a glass strewn painted strip with no separation from traffic; a muddy stoney strip on a deserted back path to nowhere; or a 100 metre section of shared footpath between side turnings where motor traffic has right of way. I can’t ride on that crap in a relaxed way or a fast way. The reasons why UK cycle paths are so often such utter crap are not relevant here but the fact is that with a few exceptions (like North Bristol) they are often completely unusable. 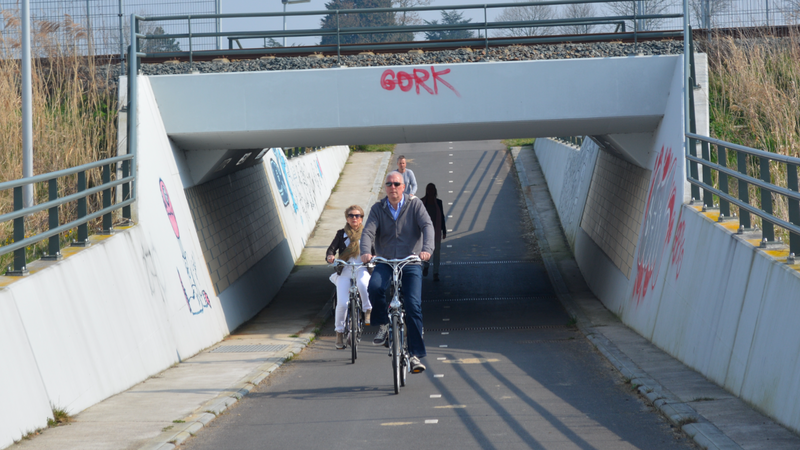 We actually need “cycleways” not “cycle paths”. 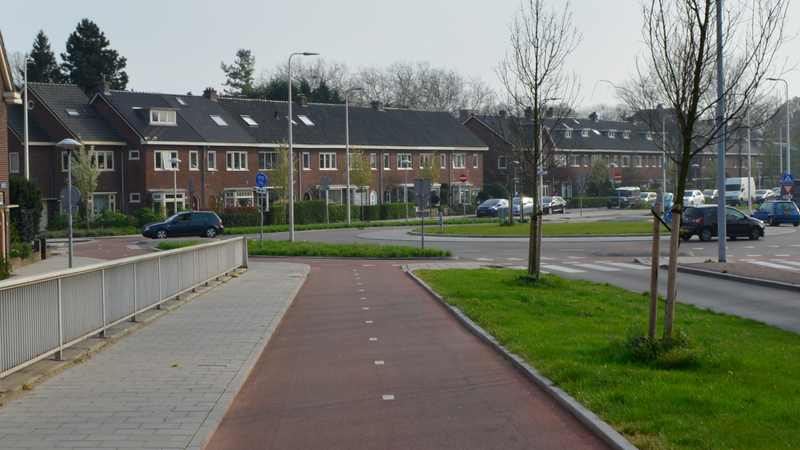 The former goes alongside the “footways” and “carriageways” we already have on UK roads (we don’t expect pedestrians to share roads with motor traffic, at least not in towns) and also “railways”. 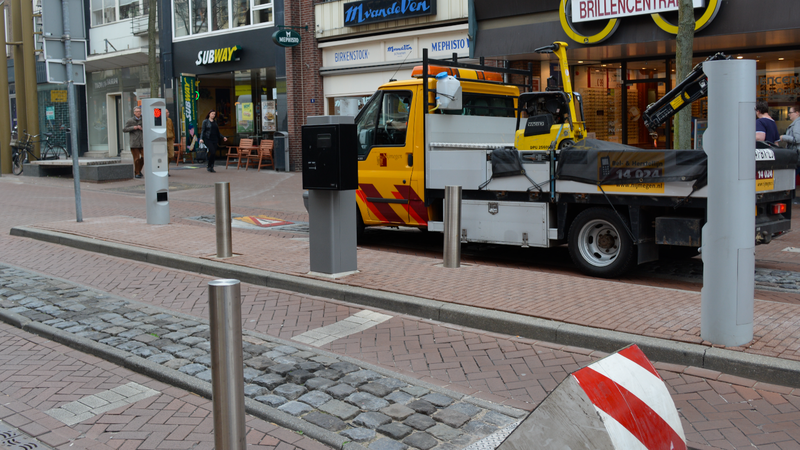 Currently the UK defines a bicycle as a “carriage” in law, so we’re forced to use the “carriageway” along with all those heavy and fast-moving motor vehicles. This was OK in the late 1800’s and early 1900’s, but is pretty horrible and dangerous now. 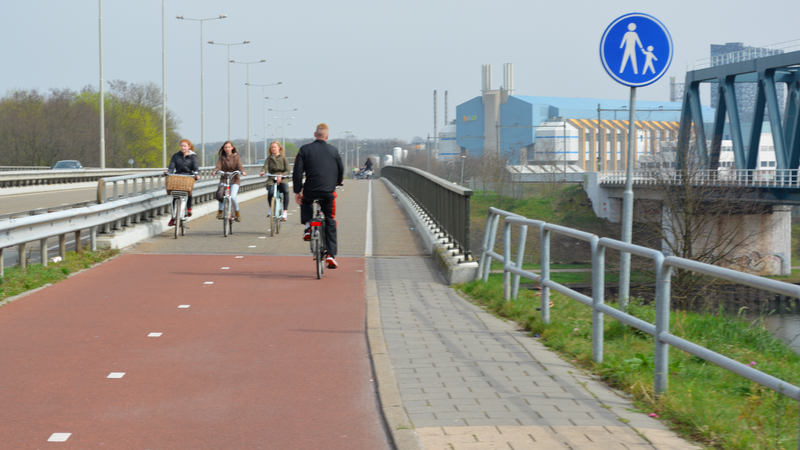 The Dutch merely recognise the bicycle as a first-class mode of transport that has it’s own requirements, so they provide cycleways as well as footways and carriageways (and railways). 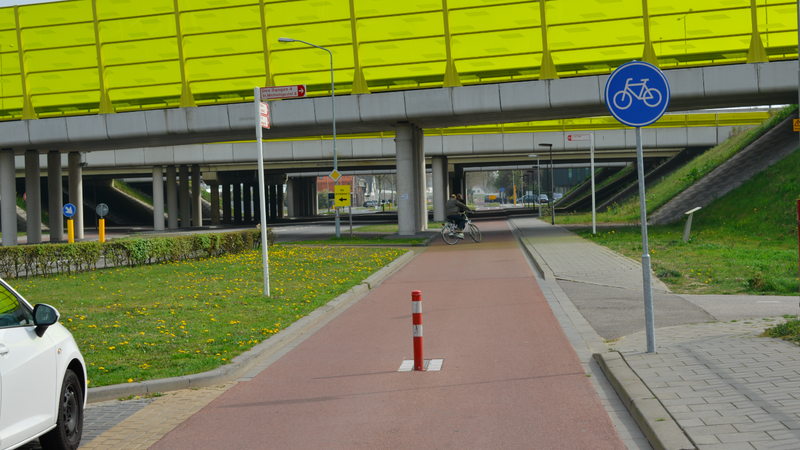 A “cycleway” also implies useful continuity as it’s a way to travel, while a “cycle path” is really just a converted pavement or footway where “CYCLISTS DISMOUNT” is almost a required sign. The picture is a bit rosy, I think. 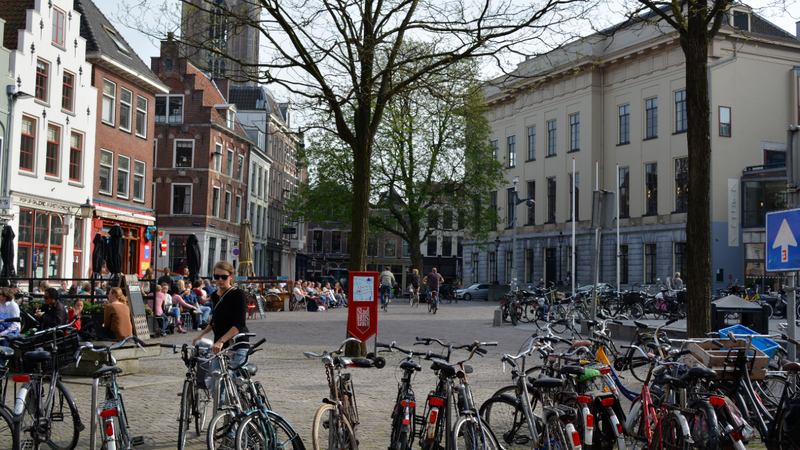 The Randstad, spreading from Utrecht to Amsterdam and then South to The Hague and Rotterdam can be quite different, but it’s never as bad as what most of the UK has to offer at the moment. 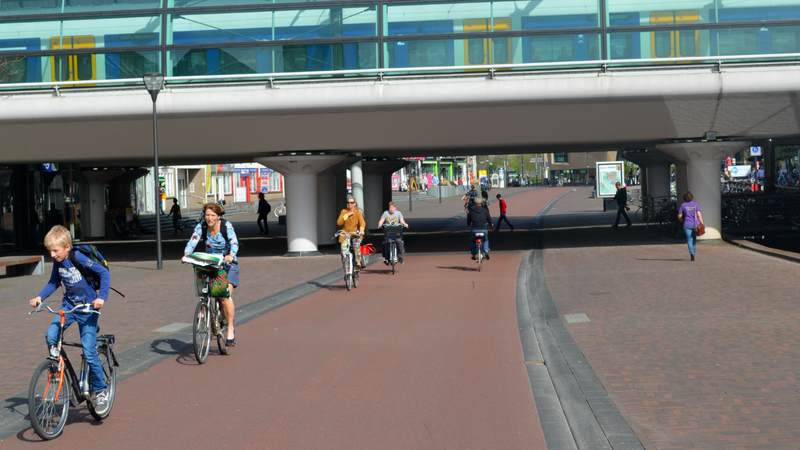 Even in Rotterdam, not the most cycle-friendly city of the bunch, you can see people of all ages and walks of life riding around. Someone should pay us a visit and a look around, even though are ‘big’ cities are mere villages to the likes of London. 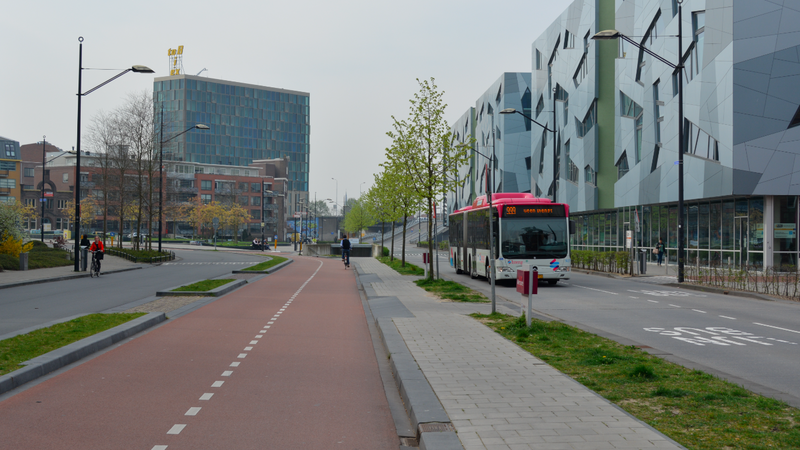 One of the consequences of the way roads are designed in the UK is that the ‘fit and the brave’ riders have got used to being able to ride fast through urban environments, and have feared that segregated infrastructure would mean they’d be unable to do that. They’d be ‘stuck’ behind slower riders and unable to overtake. 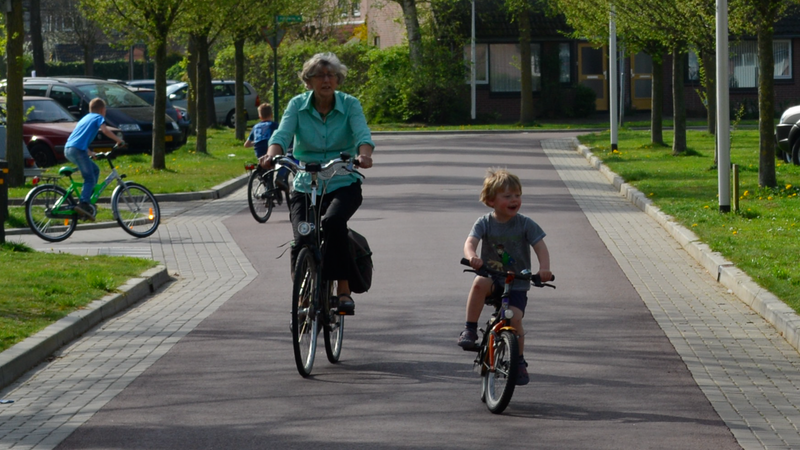 What these pictures highlight is the way that dedicated infrastructure affects the way people dress and behave while cycling. 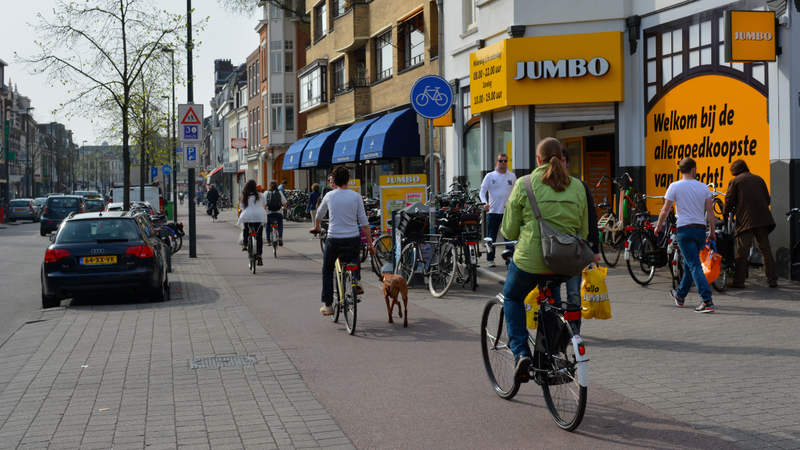 In the out of town photos you can see road cyclists using bike lanes that are of an equal or higher standard than most rural roads in the UK; perfect for leisure cycling or fast long-distance commuting. 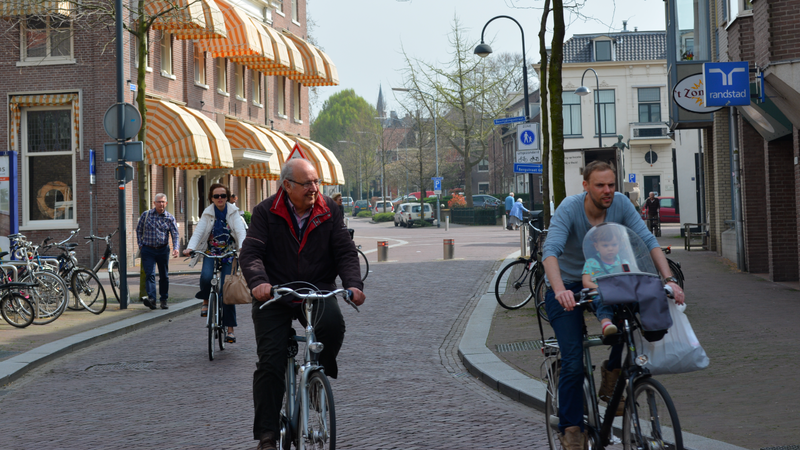 In the town and city photos, people are dressed more casually and riding more relaxed bikes; they’re not doing 20mph through a busy pedestrian centre. 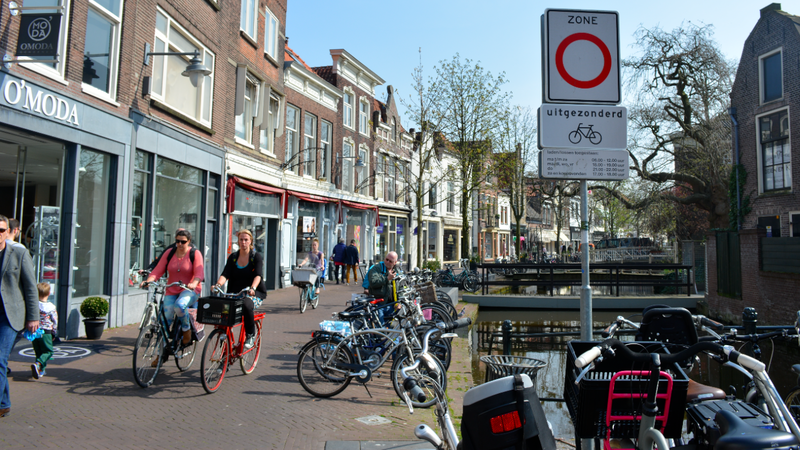 I suspect that cyclists in the Netherlands who commute reasonably long distances are simply likely to slow down a bit once they reach their destination if it’s busy, but some campaigners see only the ‘through town’ part and think the entirety of their journey would be like that. 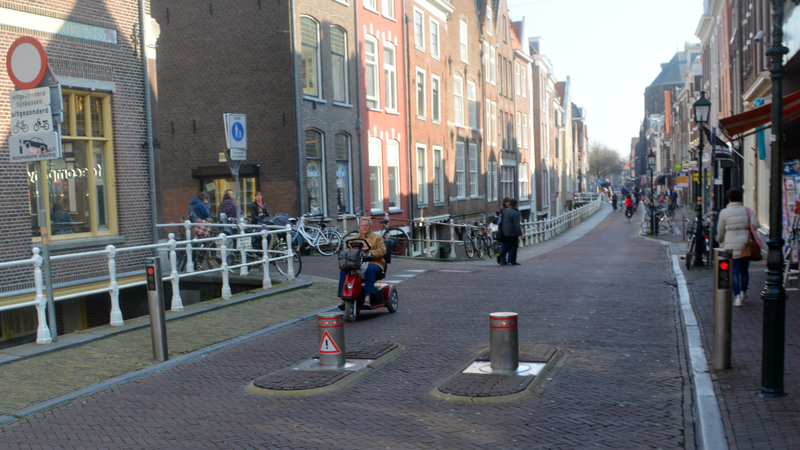 Blog posts like this are very important in demonstrating what good cycling infrastructure looks like and demolishing some of the myths around ‘glass-strewn segregated gullies’, and also in demonstrating that Dutch cyclists are just as likely to demand paths which are suited to all kinds of users (even the fast ones). 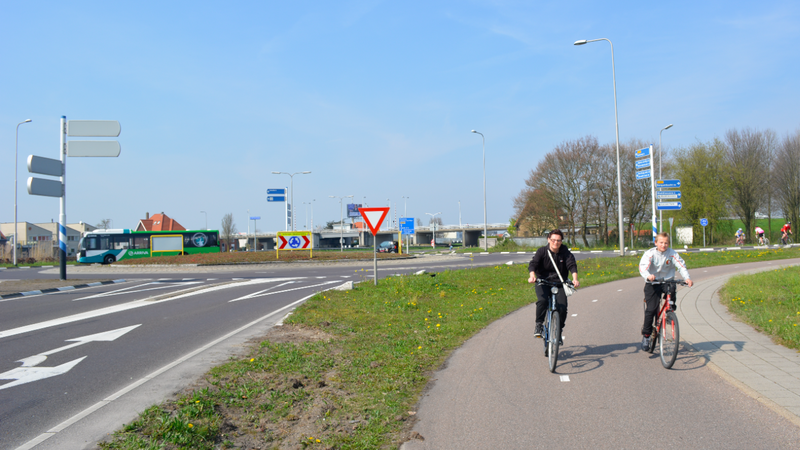 Between towns and cities (and, indeed, in the suburbs) you can cycle pretty much as fast as you are capable of cycling. Your speed is not limited by the infrastructure. In the centres of towns and cities, this is less true. 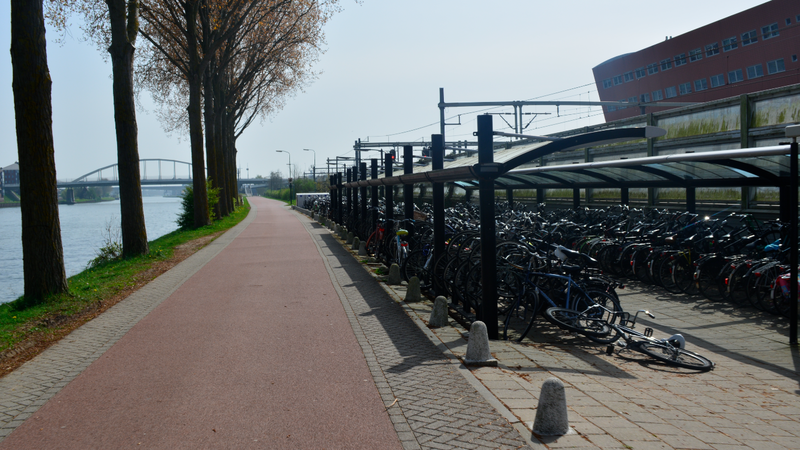 You will find that you cannot cycle at top speed, mainly because there are plenty of other people about, either walking on the footway beside you, or cycling on the cycle tracks, or just milling about in the ‘shared’ kind of areas you can see in the photographs at the bottom of this post. But that’s probably how it should be. It doesn’t feel appropriate to be bombing along at close to 20mph here. The natural speed is around 10-12mph, and that feels just right.